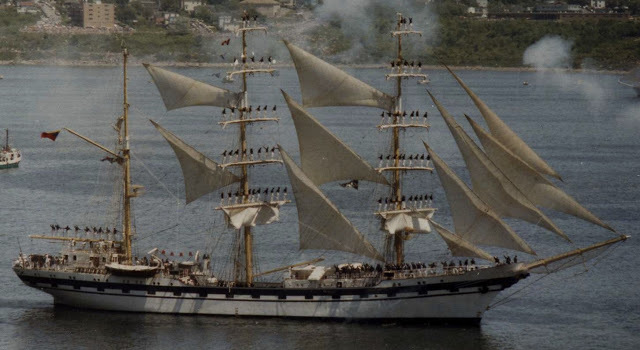 The Soviet Navy Sail Training Vessel Kruzenshtern, A Difficult get I would imagine in 1984. If the Tug looks familiar, its the Florence M, during her time as Point Vibert with Eastern Canada Towing and Salvage (EC Tug). Finally we have this unknown American Schooner, I belive to be the Harvey Gamage passing the EC Tug Wharf. 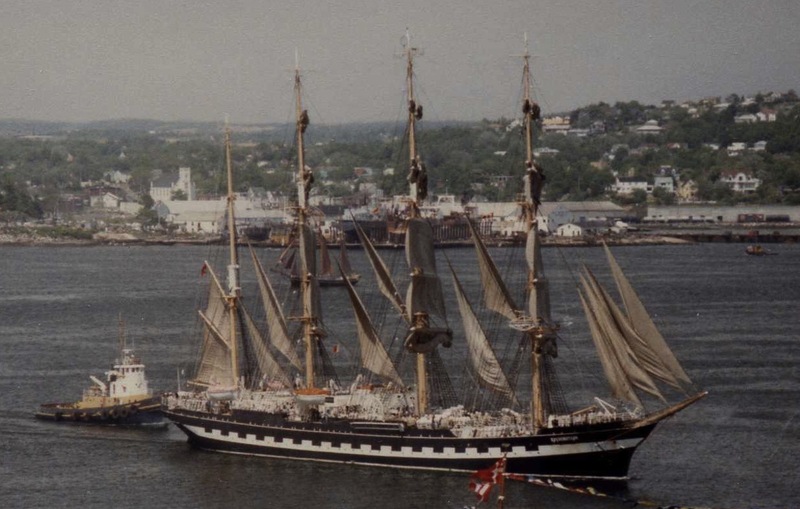 This entry was posted in bluenose, history, tall ships on June 5, 2012 by Peter Ziobrowski. 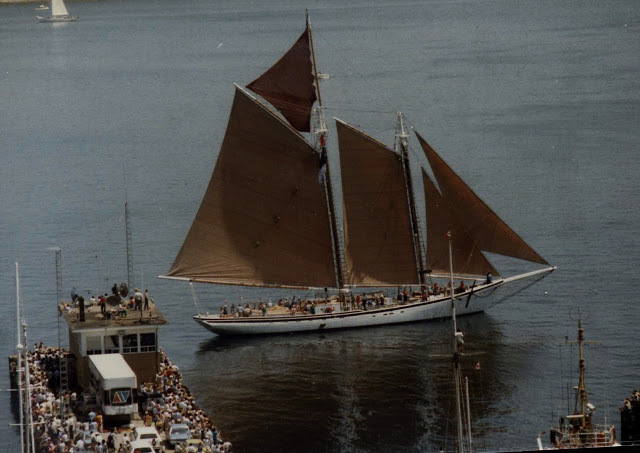 I believe that is actually the Roseway. Long before her restoration. Lee, you are absolutely correct I was crew on her back just before the event. 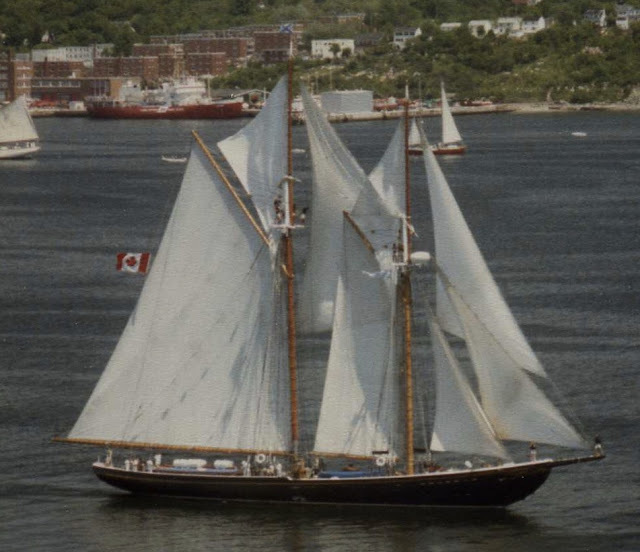 I was in Halifax aboard the Ketch Angelique.